November 5, 2008 - audio only. May 18, 2007 (Part I, Part II) - Audio only. May 17, 2007 (Part I, Part II) - Part I (Medical Ins. Mandates Subcommittee) audio only. May 16, 2007 (Part I, Part II) - Part II audio only. May 8, 2007 - audio only. May 1, 2007 - audio only. April 24, 2007 - audio only. April 12, 2007 - Audio begins shortly after the beginning of the hearing. March 12, 2007 - The video begins a few minutes into the hearing. Study the use of certain nonprofit health corporations - approved under Chapter 162, Occupations Code, in Texas. Examine whether such entities operate on a statewide scale or on a limited scale, whether such entities adhere to the formalities required of corporations, whether the operation of such entities are influenced by owners or members who are not licensed to practice medicine, and whether such entities have ever been decertified or investigated for failure to maintain compliance with Texas law or regulations. Analysis of state and federal regulations that contribute to higher premium costs. Study and make recommendations relating to the Texas Health Insurance Risk Pool, including the current eligibility for coverage requirements, the economic profiles of participants and former participants, the affordability of the insurance products' premiums and deductibles, and the public's awareness of the Pool. Study the issue of security and accuracy in Texas elections. The study should include the benefits and risks of electronic voting technology, including the necessity of maintaining a paper record of each electronic vote. The study should also include an analysis of fraud in Texas elections, including prosecution rates for voter fraud, the processes for purging ineligible voters from voter lists, and the integrity of the mail-in and provisional ballot systems. Study the effectiveness of electronic voting technology and voter ID laws in other states. Monitor the implementation of the federal Help America Vote Act of 2002, including the implementation of the Texas Election Administration Management system. Recommend statutory and regulatory changes designed to ensure that only eligible voters are allowed to vote in Texas elections and that each vote is accurately counted. Review and make recommendations for requiring insurance coverage of routine medical care for patients with a life-threatening disease or condition who have elected to participate in a clinical trial. Study the economic impact of recent civil justice reform legislation in Texas. Study whether Texas should adopt the Restatement 2nd of Torts Sec. 674 (Wrongful use of Civil Proceedings) and whether a person should be allowed to recover court and attorneys fees when he has been forced to defend a lawsuit filed without probable cause or for intimidation purposes. 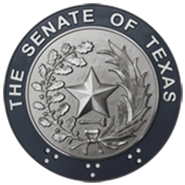 Monitor the Texas workers' compensation system, and the continued implementation of the reforms of HB 7, 79th Legislature, Regular Session, by the Texas Department of Insurance and other state agencies. Specifically evaluate the recent decision by the Texas Supreme Court in Entergy v. Summers in terms of its impact and the impact of previous legislation on the workers' compensation system. Study and make recommendations to reduce illegal gambling in Texas, including, but not limited to, the illegal use of Eight-Liners. Analyze the advantages and disadvantages of phasing in a defined-contribution pension for future employees versus the existing defined-benefit pension plan. Study options for transition or implementation issues and how the phase-in could be structured. Evaluate the possibility of requiring the state employee contribution rate to meet the annually required contribution for the statewide retirement funds each biennium in order to prevent unfunded liabilities. Monitor the implementation of legislation addressed by the State Affairs Committee, 80th Legislature, Regular Session, and make recommendations for any legislation needed to improve, enhance, and/or complete implementation. In particular, monitor and report on the effect of HB 2365, which allows public entities to report "other post employment benefits" (OPEBs) on a statutory modified accrual basis, including any effect on auditor opinions, bond ratings, or other fiscal issues. Monitor the implementation of Senate Bill 1731, relating to transparency of health information, and Senate Bill 1846, relating to TRS.